"Where does my home stand and where are the opportunities for improvement?" posited Enoch Lenge, Eversource's energy efficiency spokesperson. 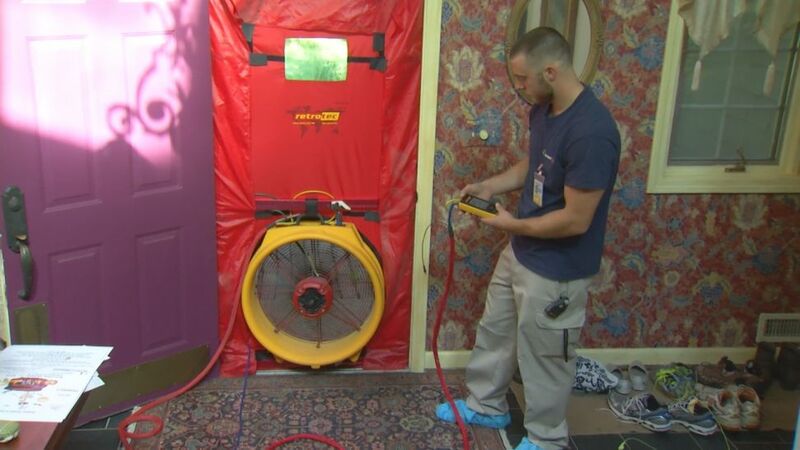 Here’s how it works: A big red fan draws air out of the house, accentuating leaks in draft-prone areas, like windows, recessed lighting and doors. Technicians also use a smoke test to check the efficiency of your HVAC unit and look for gaps around your chimney and pipes. They seal those gaps with foam, weatherstrip windows and doors, and sometimes add new lights. Eversource says the fee covers many of these improvements, which can save homeowners around $200 per year. "It pays itself off within six months," said Lenge. Both new and old homes are eligible, and Eversource says right now is the time to act, not when temps are cold. The company recommends making these fixes even if you don’t do the assessment, but adds that the sophisticated testing really helps find the problems. Eversource says that all customers subsidize these audits, paying about $25 per year in utility bills. To get the audit out on the market would run you around a $1,000, according to Eversource.